1. 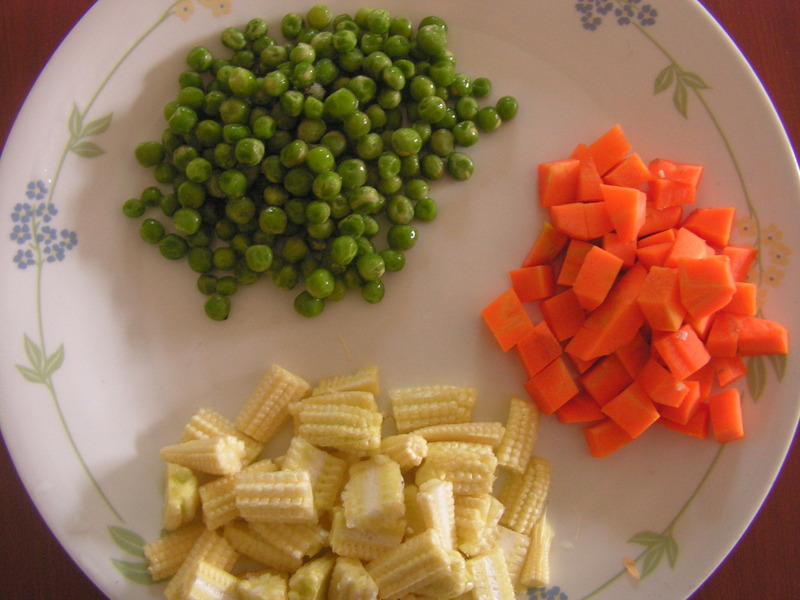 Wash and chop carrots, potato, cauliflower, baby corn as well and cook it in the cooker adding a little salt so that it is not over cooked. 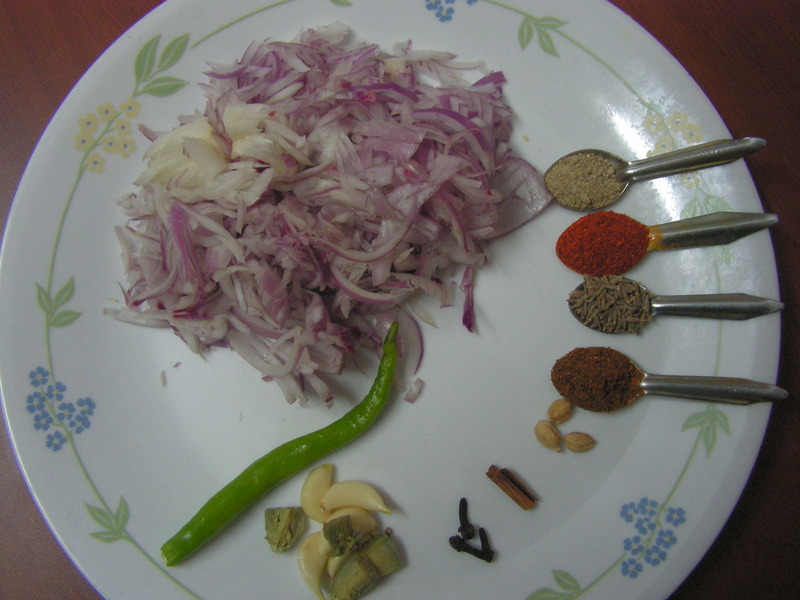 Wash , peal and chop onion lengthwise and keep it aside as shown in the image. 2. Grate coconut and grind it in the mixy adding water in steps and strain it to extract coconut milk and keep it aside. 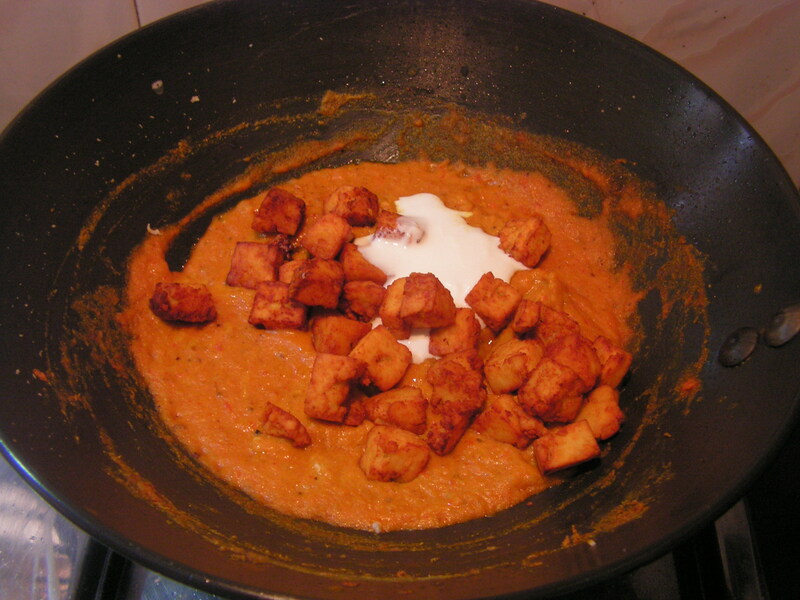 Soak paneer cubes in water and a little later squeeze out and keep it aside. 3. Place a skillet with 2 Teaspoons of cooking oil in it on medium flame. 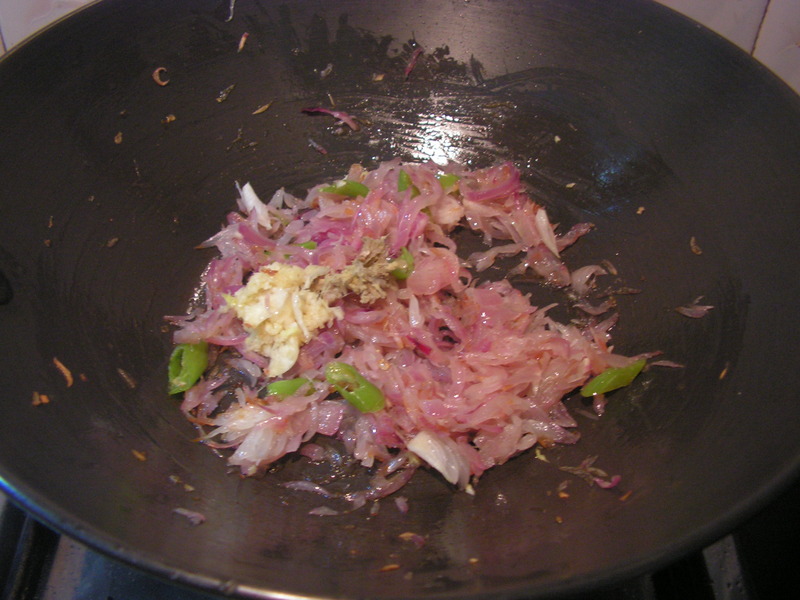 When heated, add chopped onions and salt to it and fry till transparent. 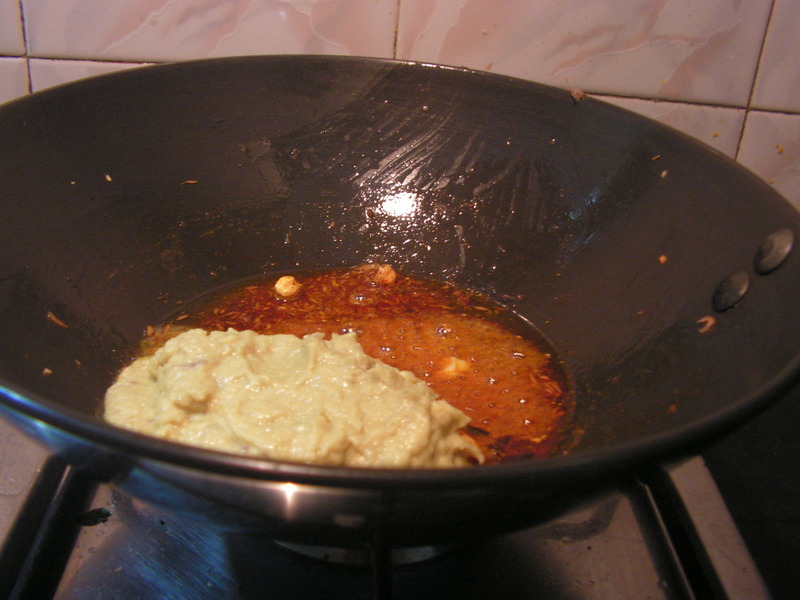 Once done add chopped green chili and ginger-garlic paste and fry till done. Allow it to cool. 4. 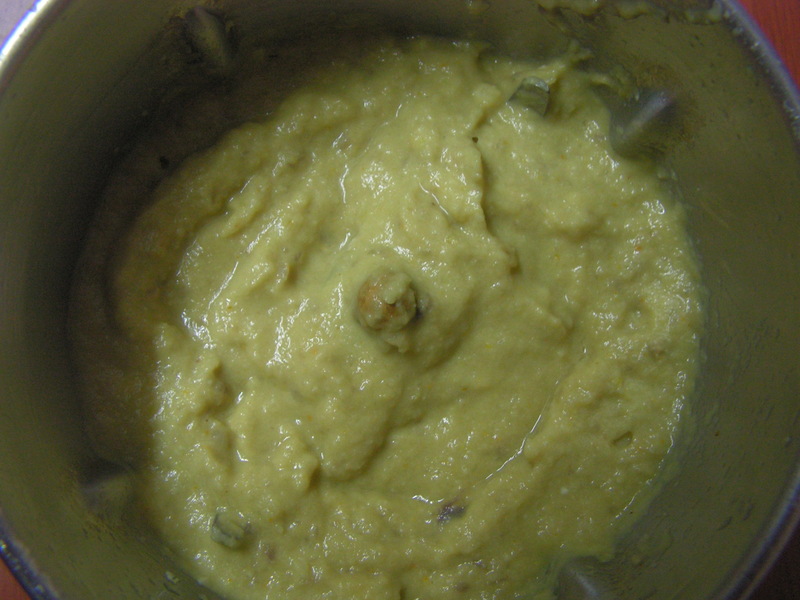 When cooled grind it with a few pealed almonds and turmeric powder adding very little water in the mixer to a fine consistency. 5. Place a skillet with 2 teaspoons of cooking oil in it on low/medium flame. When heated add cumin seeds. Once it starts spluttering add cloves, cardamom and cinnamon and fry it till done. 6. When done, add all powders in a row and stir for a minute. 7. 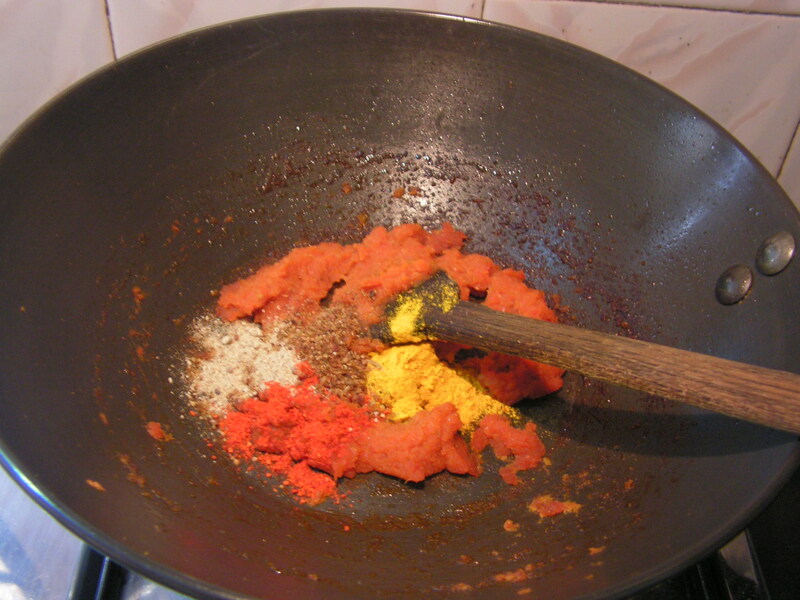 Add grind masala from step-2 to it and give a stir to it. 8. Add cooked vegetables to it and a little water too and being it to boil. 9. 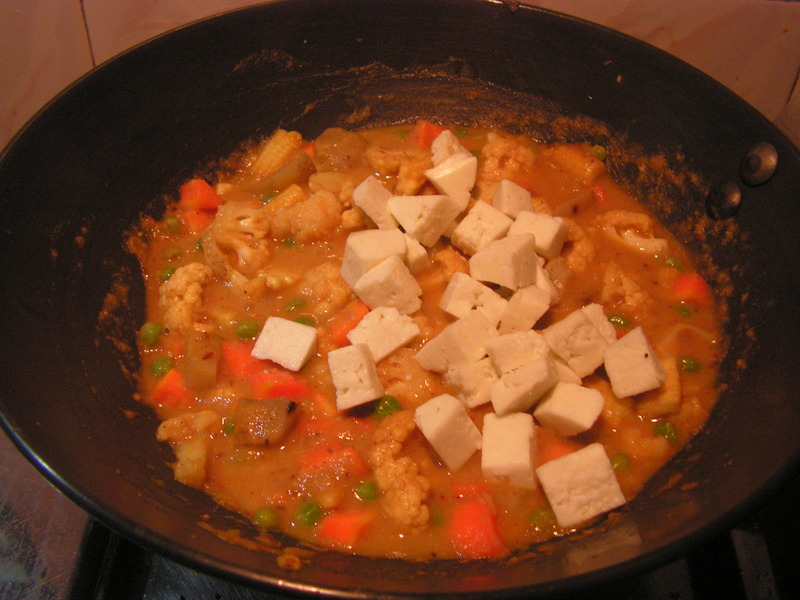 Add paneer cubes from step-2 as well to it and give a stir. 10. Add coconut milk from step-2 to it and bring it to boil simmering the flame. Note: 1. 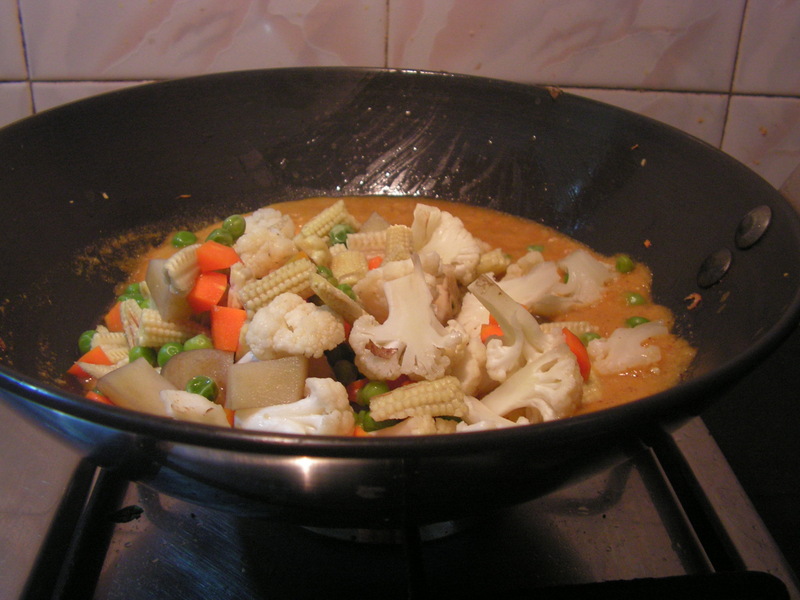 Use fresh and tender Baby corn for the dish. Use also fresh veggies for better result. 2. I have extracted coconut milk at home. One can even use the one available in the market. 3. I have used Amul thick milk for the purpose. 4. 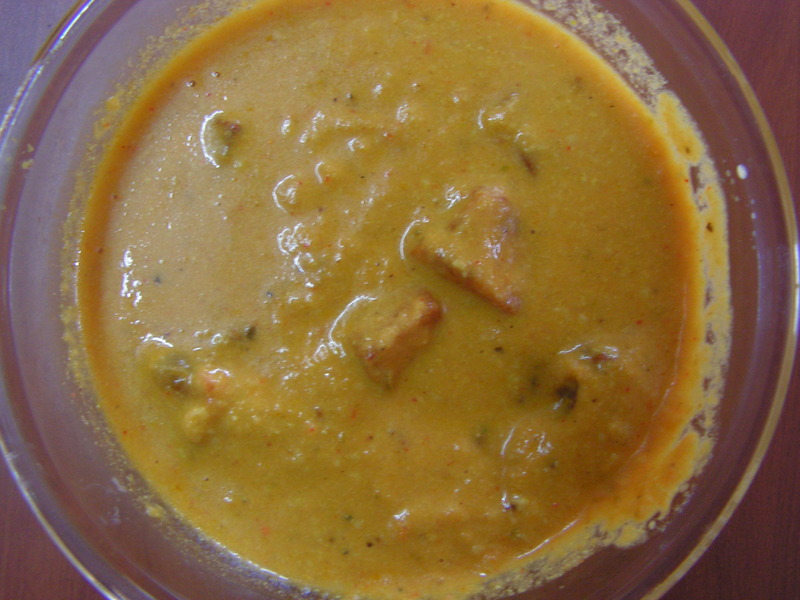 Almonds is used to thicken the gravy. 5. 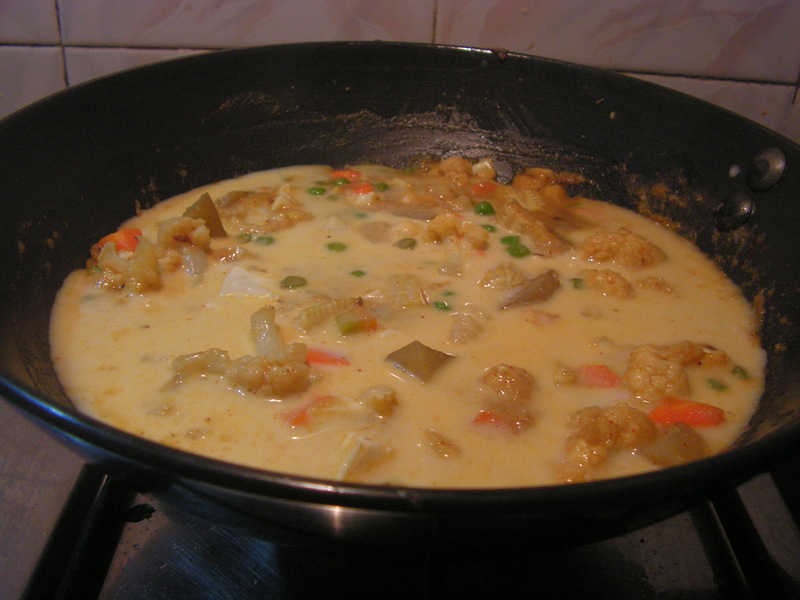 Always simmering the flame on adding either coconut milk or milk to the gravy is to avoid the dish from curdling. 6. 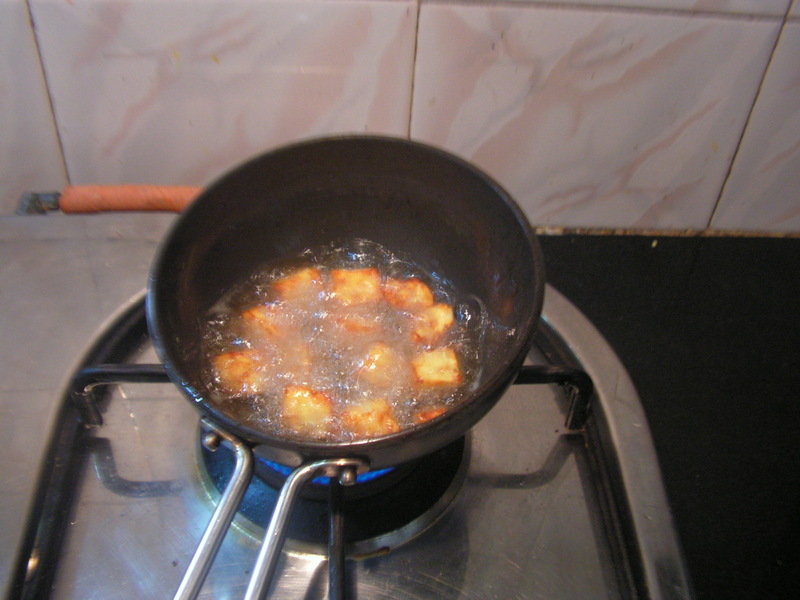 One can even fry the paneer cubes if needed. 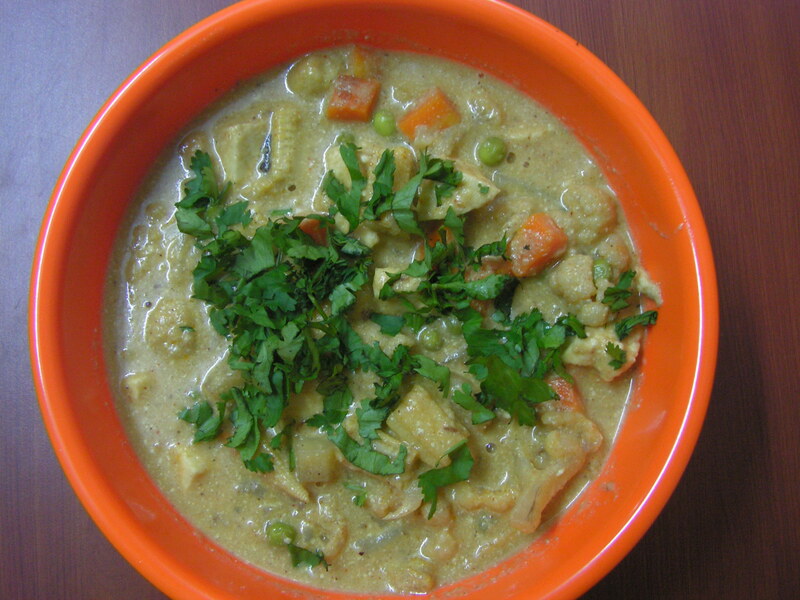 This entry was posted in Uncategorized and tagged North indian dishes, Paneer dishes, Side dish for Roti. 1. Wash and chop tomato fine. Wash and peel onions finely, as well as coriander/cilantro and keep aside as shown in the image above. 2. 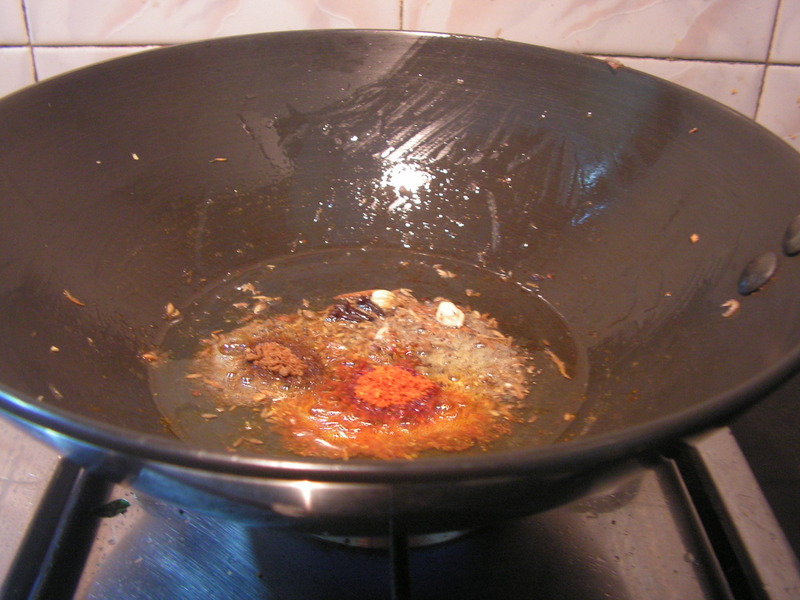 Place a skillet with 3-4 teaspoons of cooking oil on medium flame. 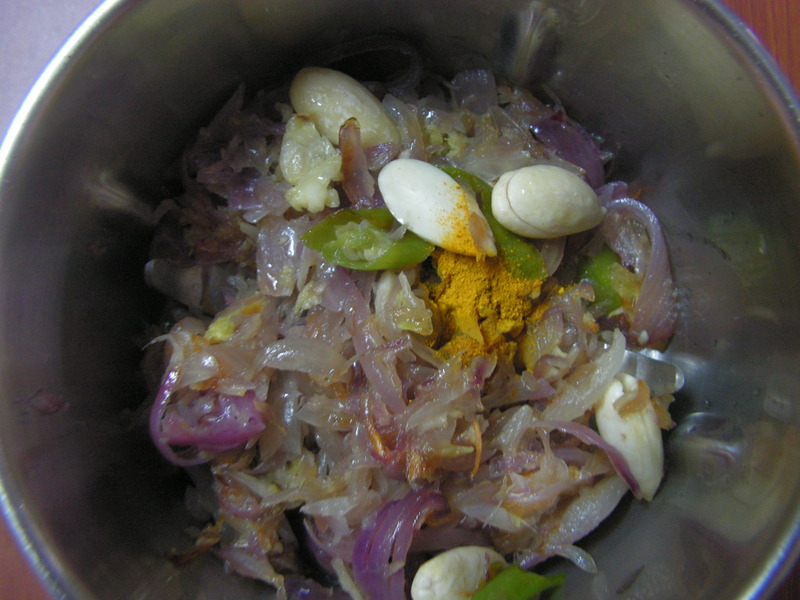 When hot, add jeera/cumin seeds to it. 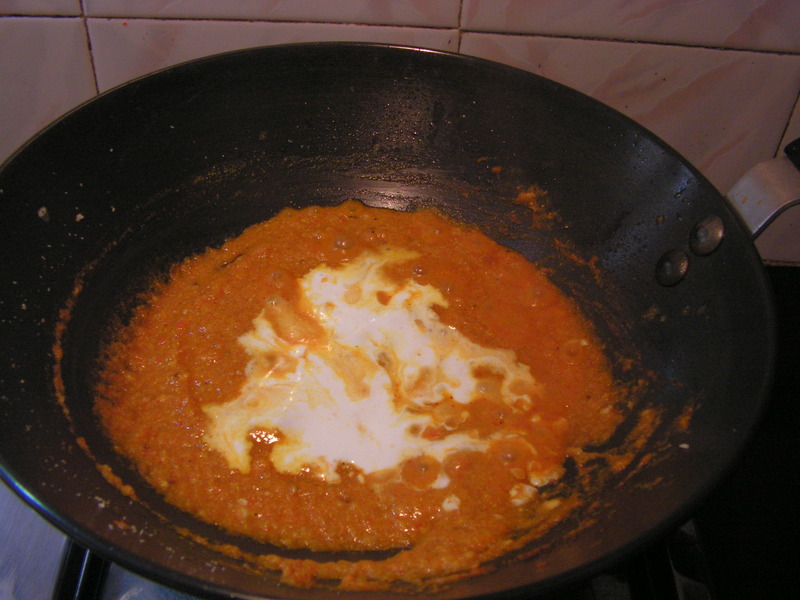 When jeera splutters, add chopped tomatoes and fry till mushy. 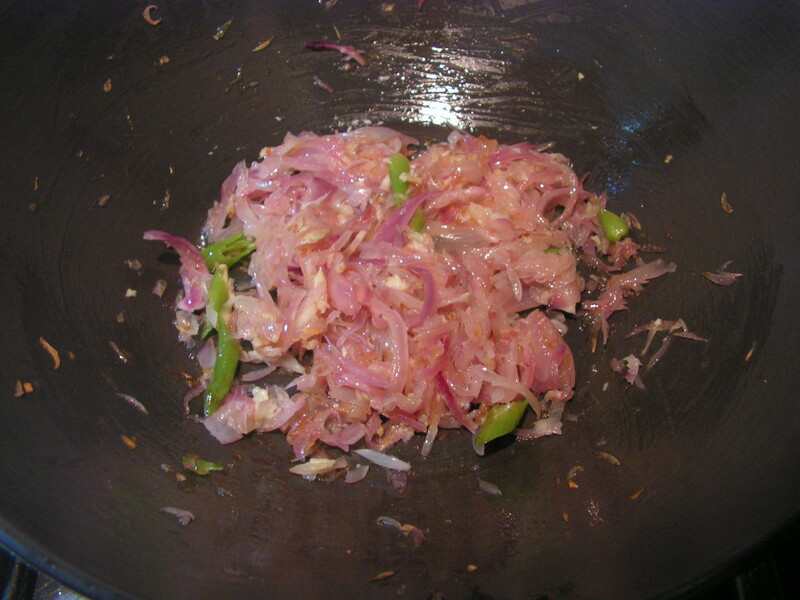 Add chopped onions with salt and fry till done. 3. Add chopped green chillies and stir a little. Add all the powders in a row.and stir again. 4. Finally add grated paneer and chopped cilantro and mix well. 5. 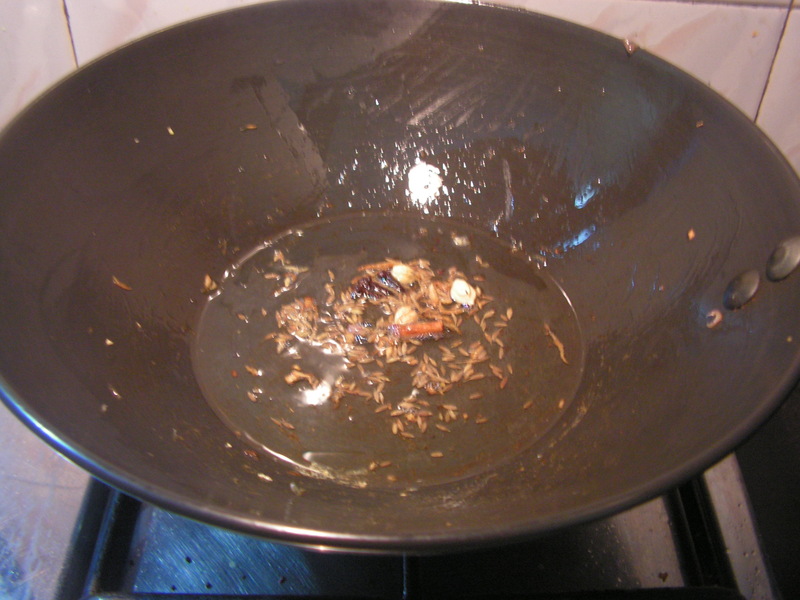 Finally transfer it to a bowl as shown in the image below. 6. Place the stuffing and spread it evenly. Apply butter on both sides of the other slice and cover the stuffed bread. 7. Use a non-stick sandwich maker and grill till crispy and brown on both the sides. 8. Enjoy with tomato sauce or plain or even with Amul butter and chutney powder of your choice. 1. I have used broken wheat bread for the dish. It is individual choice. 2. 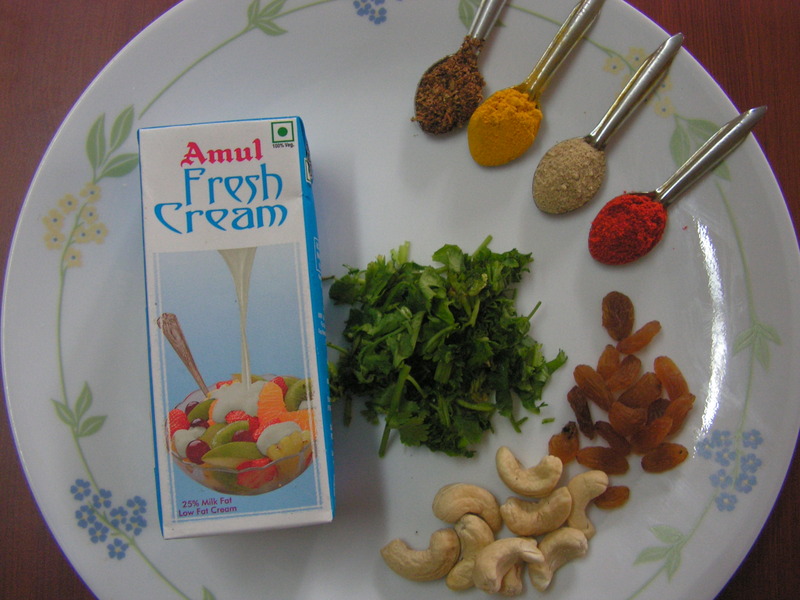 I have also used cholesterol free butter from Amul – not that I insist on your doing the same. 3. One can even use vegetables of one’s choice for the stuffing. 4. Grill it till brown and crispy. Make sure you do not burn it . 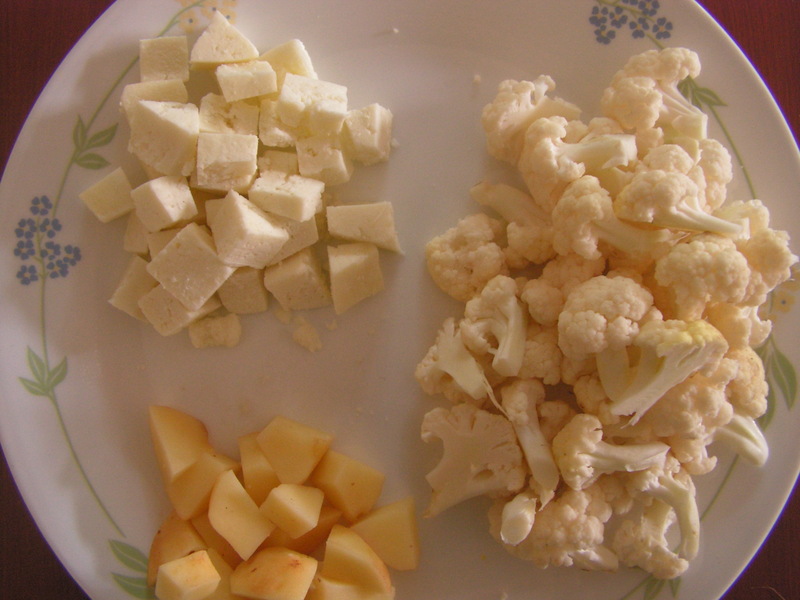 This entry was posted in Uncategorized and tagged Breakfast, One hour, Paneer dishes, Spicy snacks. 1. 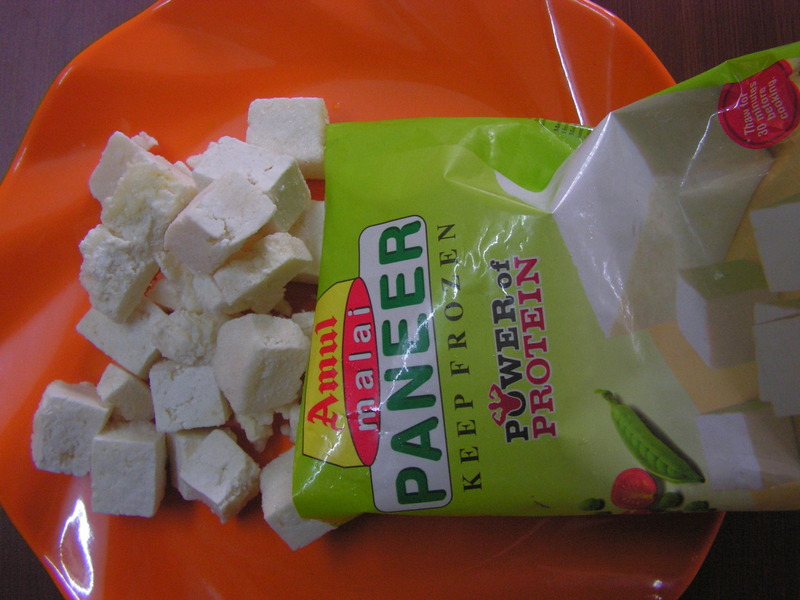 Wash the paneer cubes in normal water once it is out of the freezer. Grate it and keep it aside. 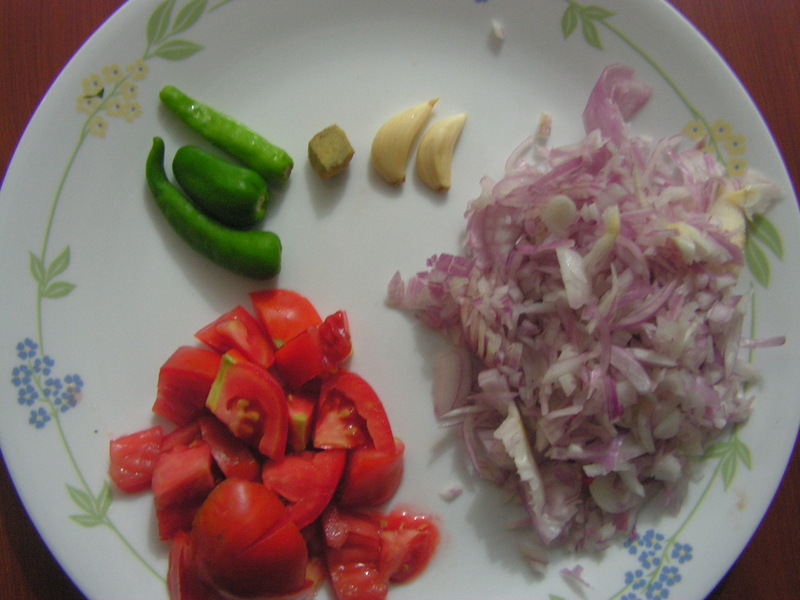 Wash and chop green chilly and coriander leaves as well. 2. Cook potato in the cooker as usual till smooth and on cooling grate it and keep it aside. 3. Place a spatula with cumin seeds / jeera on low flame. Roast it till done. 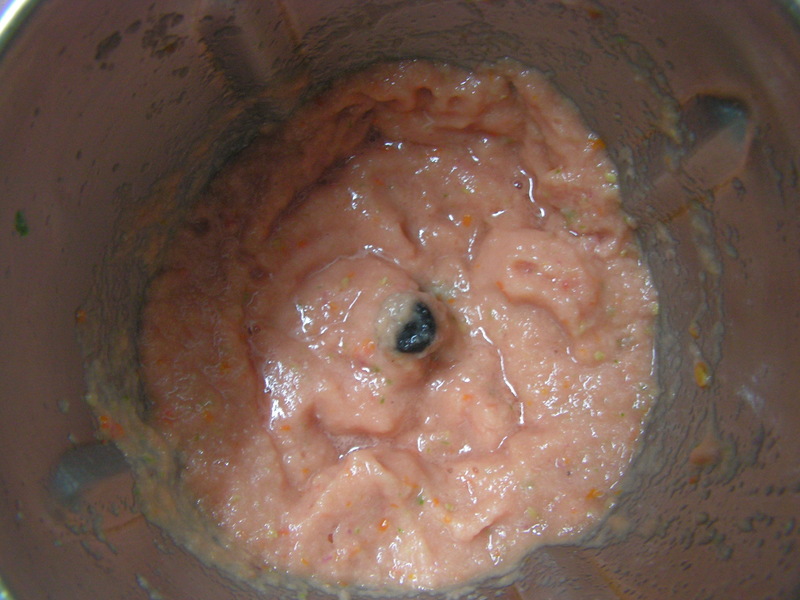 On cooling powder it in the dry grinder. 4. Transfer grated paneer, potato, green chilly, chopped coriander leaves, turmeric powder, chilly powder, cumin powder, salt, lemon juice etc into a broad mixing bowl. 5. Mix the ingredients with your hands so that you get the proper consistency for stuffing. 6. Transfer atta, salt and kasoori methi powder to a sieve. 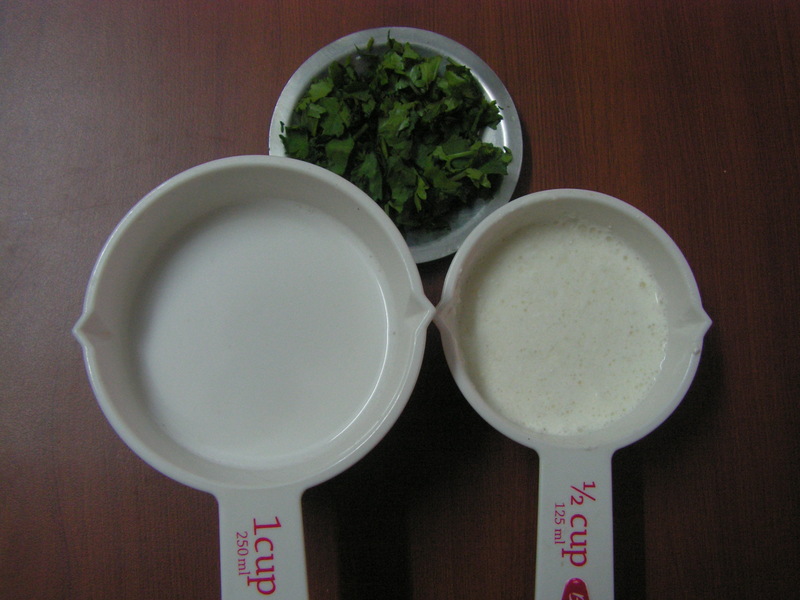 Sieve the mix twice so that they blend evenly. Add cooking oil to it and slowly add the required quantity of water to make a soft, pliable dough. Pinch out the required quantity of the dough to make round balls and roll it into 4″ diameter. Place around 2 -3 Teaspoons of stuffing from step-5 in each ball and close the edges of the dough neatly. 7. Roll the paratha on a plastic sheet dusting it in atta to medium thickness and around 5-6″ diameter. 8. 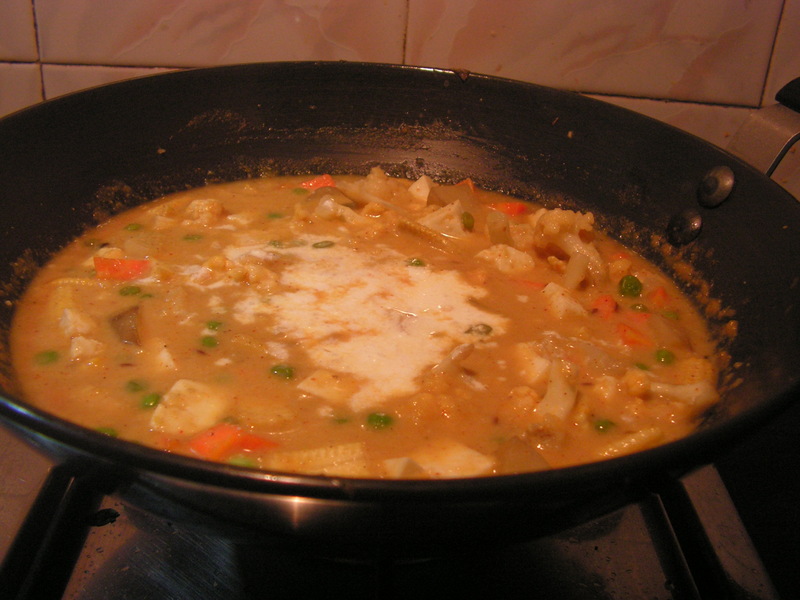 Place a roti skillet on medium flame and splash a little Amul margarine/butter on it. Place the paratha and fry till butter on top melts and is done at the bottom of it. 9. Flip the same till brown spots appear. 10. Repeat the process for the remaining . Enjoy with either Tomato ketchup or Lemon pickle. Yummmmmmmmmmmmmmmm !!! 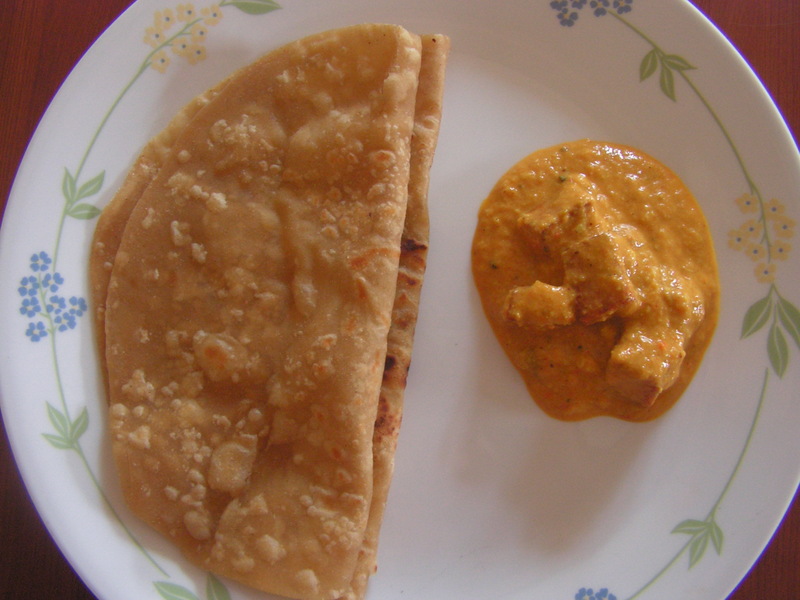 This entry was posted in Uncategorized and tagged One hour, Paneer dishes, Parathas and Rotis, Party dish, Spicy snacks.